Our team develops effective plans that focus on assisting you with your business sales platform to fill your sales pipeline, increase your revenue and build your brand at the same time. Our team develops an effective plan by analyzing and creating a strategy to target qualified visitors by tracking the effectiveness of each Ad campaign elements to drive more sales to your company. Whether you own the business or you're a new brand, the bottom line results are incredibly important. We are committed to ensure your team is successful by providing you a unique customized marketing plan and a campaign that will help you get the right visitors to click to your website. our digital ad targeting and measurement solution enables the Client to target optimized consumer prospect audiences through Facebook and Google AdWords. We get to work for you, we plan, target the market you would like to tap into based on your business model and platform and we will track and measure progress against your goal. 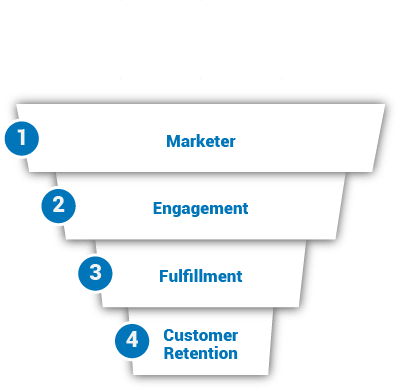 Our focus is to increase your revenue and reduce your worries on inconsistency in lead generation and building your pipeline with your team's ability to convert more sales based on either inbound or outbound marketing. We can build your own white label marketing platform or we can drive you traffic by sending you new live calls through your landing pages or filtering prospects with network of publishers and call centers. We are your ultimate gateway to a new innovative lead generation platform with our Business Processing Outsourcing expertise. The major objective of your team is to fill your sales pipeline with quality leads, but what exactly does this mean? How many customers are you hoping to generate? What new markets are you hoping to tap into? How much time do you have to grow your pipeline with the demand in the market place? To set goals about how many leads you want to generate, and eventually, how many deals you want to create, you need to have a clear image of what is possible which means understanding your target market, and perhaps more importantly, your company's revenue goals. We provide training and communication consulting with your sales team and management is our number one priority to ensure your team has the closing ratio you're looking for based on the market place you're tapping into. We take responsibility for our actions and accept ownership for the outcomes, rewards and/or consequences of the results. We honor our commitments and strive for the highest quality. We are focused on solutions and are not afraid to take informed, responsible risk.